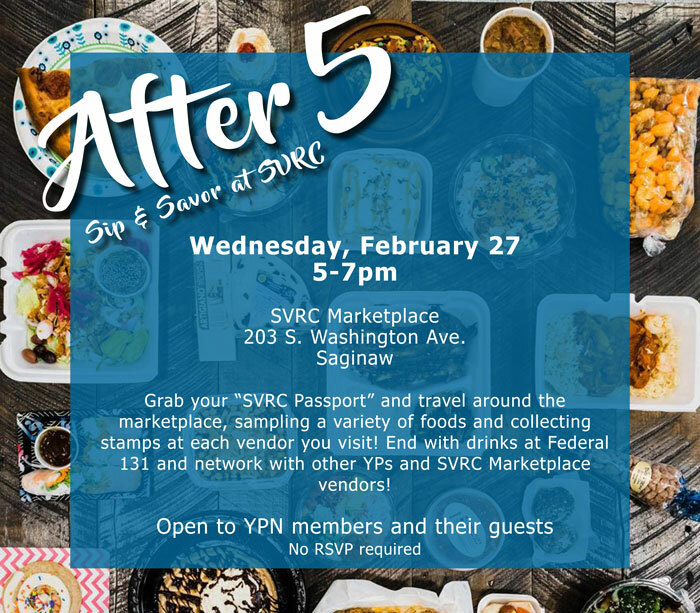 Grab your "SVRC Passport" and travel around the marketplace, sampling a variety of foods and collecting stamps at each vendor you visit! Collect all vendor stamps and enter your passport for a chance to win a prize from SVRC Marketplace! End with drinks at Federal 131 and network with other YPs and SRVC Marketplace vendors! Open to YPN Members and their guests.